Buying into pay-per-click advertising for the first time is like buying into a pro poker game when you’ve never had a seat at the table. You might get lucky, but there’s a good chance you’ll get taken by a shark and lose all your cash before you even realize what’s happened. Only by “get taken” we mean your money will get taken, and by “a shark” we mean the house dealer—in most cases, Google. Like poker, pay-per-click (PPC) advertising is a strategic endeavor that can yield big results over time, but only once you’ve mastered the craft. All too often, you hear PPC horror stories of people who accidentally spend hundreds of dollars on unsupervised campaigns, mistakenly leaving ads running that wind up wasting money on ineffective clicks. But let’s back up and clarify this whole ordeal. 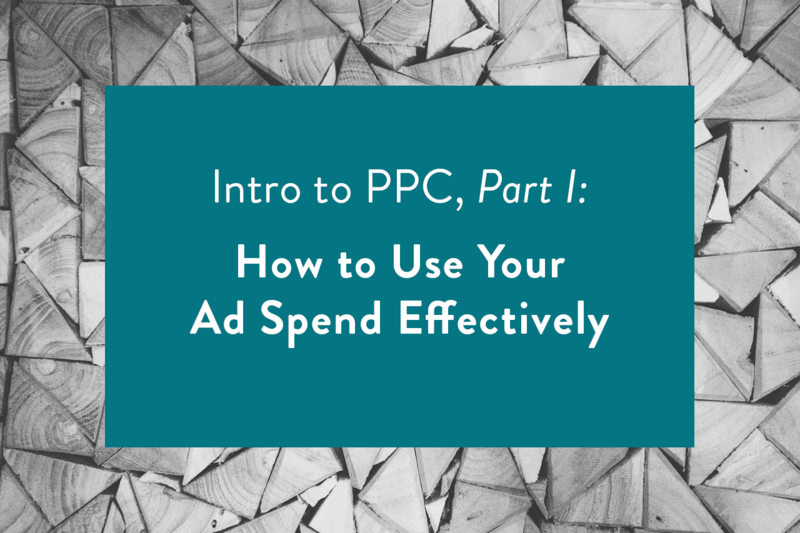 As the name implies, with PPC you pay for every click on your ad. Google and other PPC platforms will set prices for every keyword entered into its search engine and position your ad based on your bid. 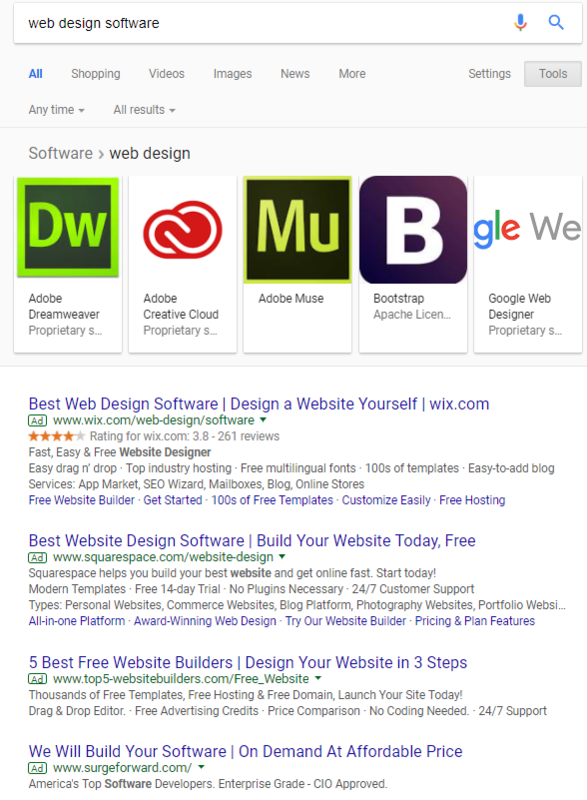 So the top page one of the keyword “web design software,” for example, might cost $5 per click; the bottom of page two might cost only $1 since fewer people are likely to see it. More obscure keywords—or long-tail keywords—will almost always be cheaper to rank highly for, because fewer people search for them. So while “web design software” might cost $5 per click for the top of the front page, “web design software for accountants” might only be $3 for the front page. Focusing on a long-tail keyword will most likely provide much fewer results (and even a few less relevant results like the last ad). 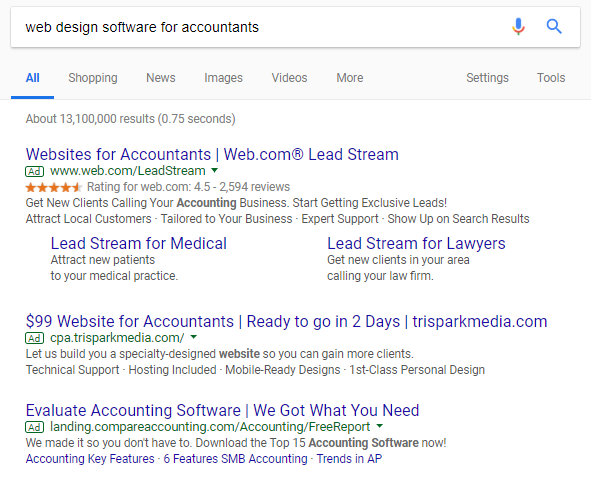 That’s great news for web design software companies with a focus on accounting firms since people searching for that term are more likely interested in that exact product anyway—plus, it’s cheaper per click. You don’t! That’s the whole fun. Keyword research is exhausting and necessarily detailed, so before you invest too much, you need to run several tests to find which keywords yield the right clicks. Yes, the right clicks—just ranking high for irrelevant clicks will lead to bouncing leads and wasted money. Set aside a budget to spend specifically on this trial period. You’ll test how various keywords, as well as how different ads perform for each keyword. For example, if you’re targeting “web design software for accountants,” you might try two different sets of ad copy: one that boasts the low price, and another that boasts the high quality. See which one performs better and put more money behind the winner. You’ll need various sets of ads for various keywords, which is why so much legwork is needed before jumping into the PPC marketing world too quickly. According to Google, Adwords click-through rates are just 2%, meaning you’ll want to run a test for at least a few days if not a week before making any conclusive decisions. Ad delivery systems offer you a whole range of options, including the hours your ad will run and locations of people who will see it. You need to address these aspects intelligently, working off a customer persona you have in mind. There’s no need to spend money on clicks coming from France and China if you don’t provide your product outside the United States, so set your campaign to turn off overnight and target only local clicks. And if your product is snowshoes, you can safely preclude several southern states from that list. Hone in on clicks from leads with certain spending habits, and who live in certain neighborhoods that make sense given what you’re selling. This seems overwhelming. Is PPC right for my business? To be sure, not every business needs a PPC campaign. It only makes sense if you have the marketing budget—which typically denotes companies with high profit margins. 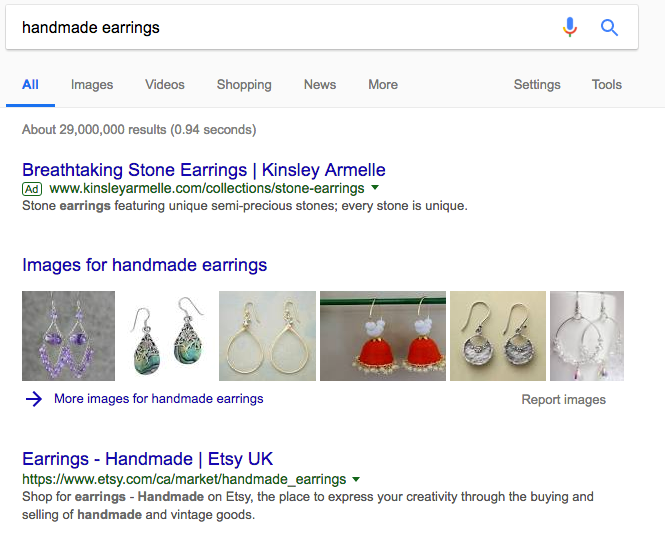 If you’re selling a low-cost service or product such as handmade earrings at prices that just barely cover your time and the parts, it’ll be harder to justify the PPC spend. There’s a reason you won’t find an overwhelming number of PPC ads for handmade earrings. That said, if your product is unique enough, PPC can be a godsend. Are you selling graphic design services with a specific illustration style? You can’t just walk into any agency and find the same style and quality. Potential clients would probably begin their hunt with a Google search—and that’s where a PPC campaign can shine. If you’re a local shop owner, PPC advertising can also help raise awareness of your product in the community. You can see how many people are interested in “graphic design and illustration in Chicago” and tap into every interested customer in your area. These are valuable leads that can turn out extremely cost-effective, and adding a location to one of your targeted keywords is strongly recommended. Of course, all this is just an introduction to PPC advertising. It’s far from the whole story. For more, stay tuned for our next blog post on the subject: Finding Keywords and Creating Landing Pages.